Last week, I spied the Selfridges Christmas windows and while I wasn’t overwhelmed, I was certainly inspired. There is just something about crisp, clean white at Christmas, it’s almost iconic. All of these pieces look super pristine and are exclusive to Selfridges – I didn’t know they had such a large range of exclusive products until recently. The likes of Vivienne Westwood, Michael Kors, Toywatch, Ralph Lauren and McQueen all do exclusive pieces so it’s well worth checking out if you’re after something a little special. 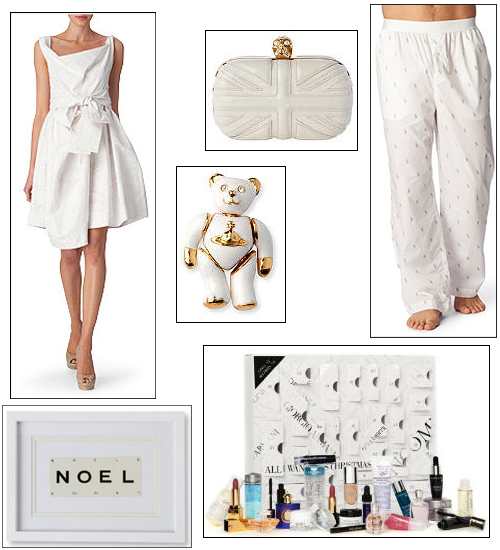 Are you inspired by winter white this season? I was just about to write "I'll have the McQueen clutch!" I'll fight you for it, Winnie!